In recent weeks, the IRS has issued a series of proposed regulations to help clarify provisions of the Tax Cuts and Jobs Act. One of the most controversial parts of the law is the limit on individuals' deductions for state and local taxes that goes into effect this year. In the wake of the TCJA, lawmakers in some high-tax states have enacted charitable contribution "workarounds" to preserve federal tax breaks for their residents. Earlier this summer, several states — New York, New Jersey, Connecticut and Maryland — filed a lawsuit against the U.S. Department of Treasury and the IRS, alleging that the SALT limitation is an "unconstitutional assault on states' sovereign choices." As they execute their 2018 year-end tax planning strategies and head into tax filing season, here's what individual taxpayers need to know about the SALT limitation and state attempts to circumvent it. 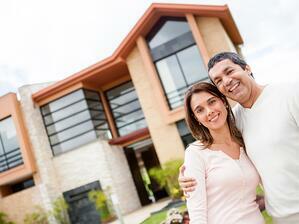 Moreover, personal foreign real property taxes can no longer be deducted at all. So, if you're lucky enough to own a vacation villa in France, a cottage in Canada or a beach condo in Costa Rica, you're out of luck when it comes to deducting the property taxes. People in these categories will now see their SALT deduction drop, in some cases significantly, because of the new limit. And there's no deduction carryforward for taxes paid in excess of the $10,000 limit. However, the SALT limit doesn't apply to taxes paid in connection with 1) a trade or business, or 2) the production of income. The U.S. Department of Treasury estimates that only about 5% of taxpayers will itemize and have SALT deductions above the limit. Before the TCJA, more than 30 states had school choice and other tax credit programs in place to provide breaks to taxpayers for making charitable donations. The federal income tax treatment of payments and property transfers under state and local tax credit programs wasn't an issue. Why? The payment or transfer could be taken as an itemized deduction on the taxpayer's federal income tax return, regardless of whether the amount was characterized as a payment of state tax or a charitable contribution. The IRS allowed taxpayers to claim a deduction for the full amount of the contribution made in return for a state tax credit, without subtracting the value of the credit. The government generally didn't try to regulate state tax credit programs because they didn't affect how much tax revenue the IRS collected. For example, New York has established new "charitable gifts trust funds" to which taxpayers can make charitable contributions and claim a tax credit equal to 85% of the donation. Similarly, New Jersey enacted legislation that permits localities to establish charitable funds to which taxpayers can contribute and receive a 90% New Jersey property tax credit. The intention is that these contributions can be claimed as a charitable deduction on federal tax returns, to help make up for deductions lost due to the SALT limit. Individuals are allowed to claim itemized deductions for charitable contributions to qualified organizations. Giving money to an individual or a foreign organization generally isn't deductible, except for donations made to certain qualifying Canadian nonprofits. If a contribution entitles you to merchandise, goods or services — such as admission to a charity ball, banquet or theatrical performance — you can deduct only the amount that exceeds the fair market value of the benefit received. The proposed regulations on the SALT limitation (see main article) extend this quid-pro-quo principle to state tax benefits provided to a donor in return for making charitable contributions. Before 2018, the deduction for charitable contributions generally couldn't be more than 50% of your adjusted gross income (AGI) — and, in some cases, 20% and 30% limits applied. Any contributions that exceeded these limits could be carried over. The TCJA retains the itemized deduction for charitable contributions and the carryover provision, and it increases the 50% limit to 60%. It also eliminates any deduction for contributions paid to colleges in exchange for athletic event tickets. Important note: The deduction for charitable contributions is available only to taxpayers who itemize deductions on their federal income tax return; those who take the standard deduction receive no federal income tax incentive to donate. The TCJA substantially increases the standard deduction, so the U.S. Department of Treasury expects only about 10% of taxpayers to itemize deductions on their 2018 returns. The proposed SALT limitation regs eliminate the benefit of charitable contribution workarounds enacted by the states. The IRS has concluded that, "when a taxpayer receives or expects to receive a state or local tax credit in return for a payment or transfer to [an eligible entity], the receipt of this tax benefit constitutes a quid pro quo that may preclude a full deduction." Under the proposed regs, if you make payments or transfer property to an entity eligible to receive tax deductible contributions, you'll have to reduce your federal charitable deduction by the amount of any state or local tax credit received. The proposed regs apply to new and existing state and local tax credit programs. But they don't apply to dollar-for-dollar state and local tax deductions. Although state and local tax deductions could be considered quid pro quo benefits in the same manner as credits, the benefit of a dollar-for-dollar deduction is limited to the taxpayer's state and local marginal rate. So, the risk of deductions being used as a workaround is comparatively low. Important note: The proposed regs also don't apply to state and local tax credits of 15% or less of the cash paid, or of the fair market value of the property transferred, to the state. So, if you make a $10,000 contribution to an eligible entity and the state tax credit received or expected to be received is $1,500 or less, you won't be required to reduce your federal deduction. In a recent IRS press release Treasury Secretary Steven T. Mnuchin said, "Congress limited the deduction for state and local taxes that predominantly benefited high-income earners to help pay for major tax cuts for American families. The proposed rule will uphold that limitation by preventing attempts to convert tax payments into charitable contributions. We appreciate the value of state tax credit programs, particularly school choice initiatives, and we believe the proposed rule will have no impact on federal tax benefits for donations to school choice programs for about 99% of taxpayers compared to prior law." Contact us for more information about this new limitation and other provisions of the TCJA. He or she can help you determine whether it will make sense for you to itemize deductions for 2018 and how that impacts your year-end tax planning, as well as brainstorm other saving strategies under the new law, based on your circumstances.